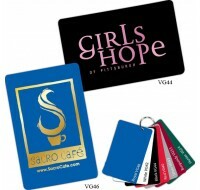 Celebrate with a fun favor! Ducky Days’ Bar Mitzvah & Bat Mitzvah Personalized Ping Pong Ball.. 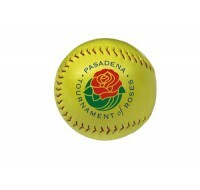 The Synthetic Leather Softball has a solid cork core with the look and feel of an official softba.. 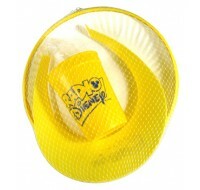 Kid's fun kit includes flyer, mini beach ball, and sports bottle. 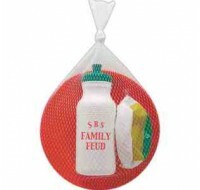 Items assembled in mesh bag. .. Wonderful keepsake for your event! Just find your favorite themed design, choose an ink color.. 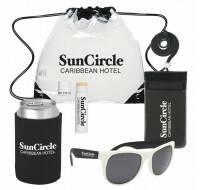 The whole kit and caboodle - ideal favor for any outdoor event. 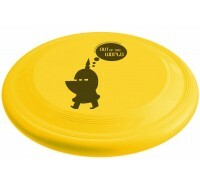 Includes: 9.25" Flyer..
Great new item for your event! 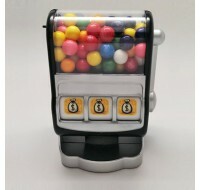 Animated reel can be filled with jelly beans, gumballs or candy co.. 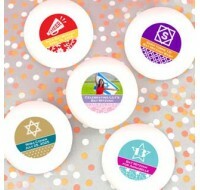 Tons of fun for beach or sport themed Mitzvahs, these 9.5" discs come in bright colors to coordin..
A perfect gift for your event! The Double 6 set is presented in an imprinted wood cache or silver.. Challenge your friends to a match of dominos. 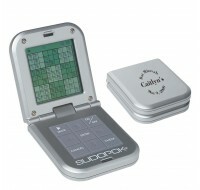 It's a classic game that's making a comeback becaus..
A long car trip? Your sister's 3 hour piano recital? You and your friends will never be bored aga.. 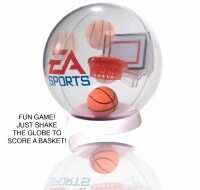 Score big with this ABS Plastic handheld basketball game ***Includes desk stand ***Warnin.. 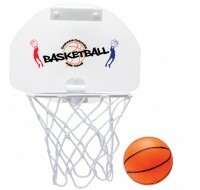 This Custom Imprinted Deluxe Fun In The Sun Kit is a kit that carries the perfect item..
Includes • Clear Backboard, Hoop and Net, 1 1/2" Wide Door Mounting Attachme..